How Strong is Bamboo Flooring Compared to Hardwood? 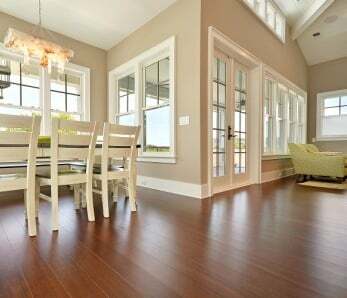 Home › Flooring › How Strong is Bamboo Flooring Compared to Hardwood? Is bamboo the strongest wood? We’re uncovering the truth behind how strong bamboo flooring really is. 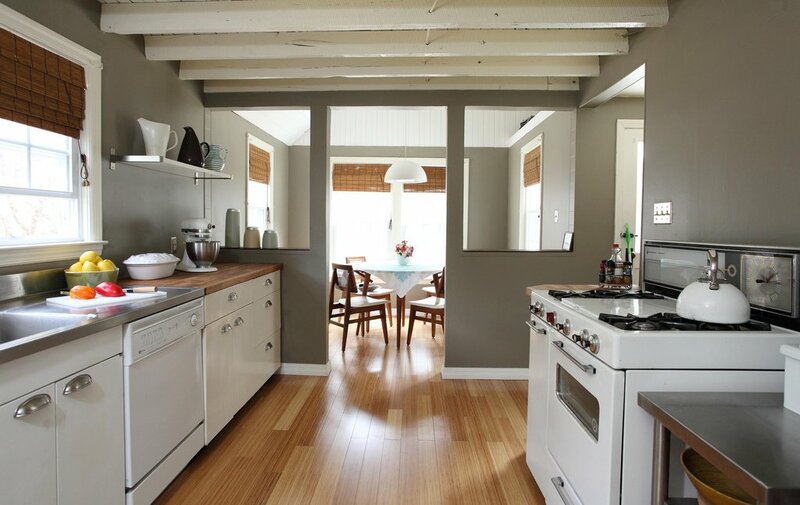 This week’s contest: bamboo vs. wood flooring. Let the battle commence…Seriously, this gets asked A LOT, so we’ll give you the answer straight-up: bamboo flooring is one tough hombre. 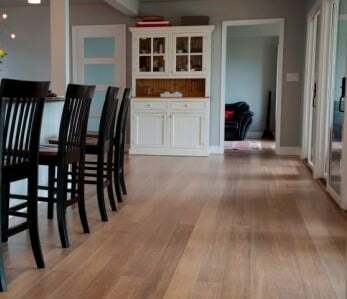 Having a durable and resilient (but at the same time beautiful) floor is a must if you have an active lifestyle, children or pets – which basically means ANY family home. You don’t want your floors to look dented, damaged and scratched weeks or even months after being installed. Choose a floor that’s too soft and you’ll be left with a pockmarked moon surface that will need refinishing sooner than you think…yikes! Let’s take a look at the strengths of various woods, and compare bamboo against them. Is Bamboo Harder than Traditional Hardwoods? The answer: a resounding yes. In fact, is 2-3 times harder than most hardwoods, including oak! The hardness of wood is measured by the – a test that’s used for universally categorizing woods in terms of their hardness. Solid or “classic” bamboo (the original type of bamboo flooring, now not widely sold) appears in the middle of the scale, with a Janka rating of 1,600-2,000, while strand-woven bamboo (a more recent type of bamboo flooring developed in 2004) ranges from 3,500 to 5,500 on average – this compares to mahogany’s rating of 1,400, red oak’s rating of 1,260 and North American Cherry’s rating of 950. The Janka Test was established as an industry standard for testing the strength of woods in 1922 – something that had been developed since 1895, initially by Filbert Roth, Special Agent in Charge of Timber Physics in the USDA Division of Forestry and then later, in 1906, by Gabriel Janka. Whilst today there are a few different procedures for testing the strength of a wood, the core one and most commonly used remains the Janka test. The test involves measuring the force that would be required to embed a steel ball (measuring 0.444in/11.28mm in diameter) precisely halfway into the wood. 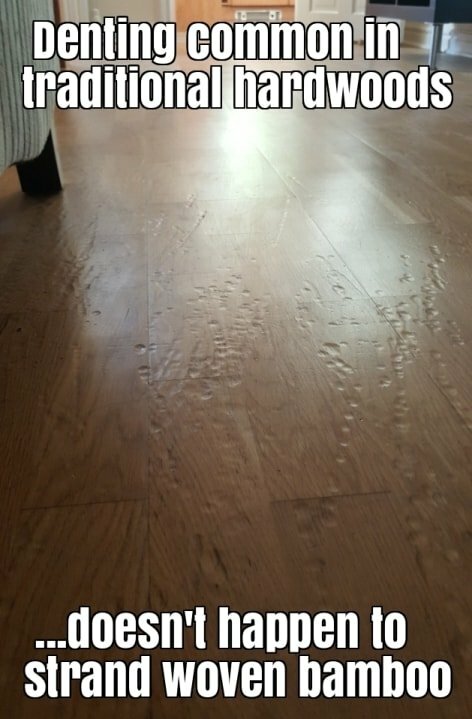 What is Refinishing and do Bamboo and Hardwood Floors Require it? Refinishing can restore life, beauty, and luster to hardwood floors, although it’s generally a lengthy process that involves special grinding machines, lots of hazardous dust, stain and polyurethane (either oil or water based), and can create a hazardous indoor environment due to the chemicals that are released into the air. Depending on the amount of square footage that has to be refinished, the process can take between 2 and 5 days (as you have to allow it to dry with each coat – this usually takes 24 hours). The coats of stain can take a minimum of 24 hours to dry, so be patient. However, the darker the stain, the longer this is (the darkest of all can demand as long as 48 hours). Experts don’t recommend undertaking refinishing yourself unless you really know what you’re doing. Probably best to leave this one to the pros! By contrast, strand woven bamboo floors very rarely require refinishing in residential applications (not least due to their strength and the fact that they resist ‘wear and tear’ better) – this saves you time, money and allows you to enjoy your flooring free from the need of worrying about maintenance. 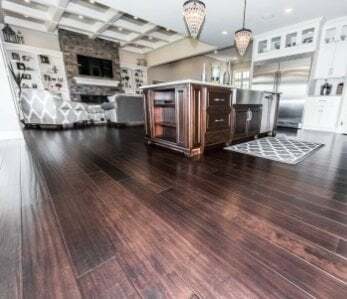 While , it can’t be stained on site – so if you wish to spruce up your flooring then you can do so but sanding it down will leave you with whatever color the base plank of bamboo is – which you will then add a clear-coat polyurethane finish to. So, is bamboo the strongest wood? 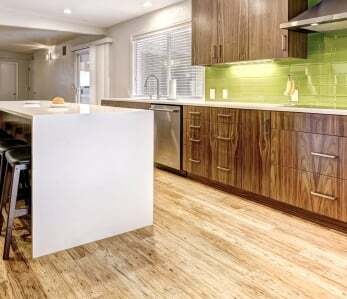 Well, when it comes down to bamboo vs. wood flooring, bamboo takes home the gold. 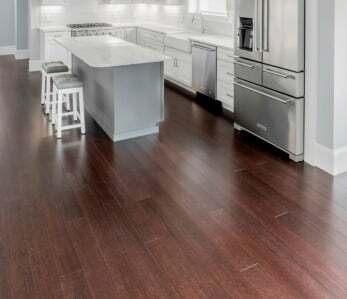 ‹ Nail vs Glue vs Float a Bamboo Floor: Which is Best?